How Far is Green Rajguru? GVSPL's Rajguru at Vengaivasal (On the Medavakkam- Mambakkam Main Road) is situated at the epicenter of the growing Chennai Metropolis. A quintessential project right at the crossroads of a bustling locality with proximity to the serene Perumbakkam Lake and surrounded by all the essential amenities, one needs for a pleasant living. 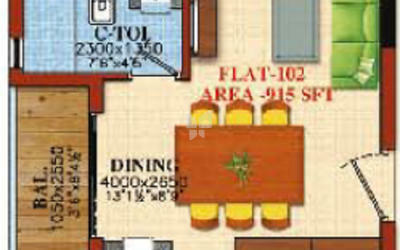 Well planned 2BHK’s and spacious 3BHK Apartments for sale in Vengaivasal, Chennai. GVSPL Rajguru is built with adherence to GVSPL's Going Green policy along with undergoing strenuous pre and post-production quality checks to uphold perfection in every aspect of the project. 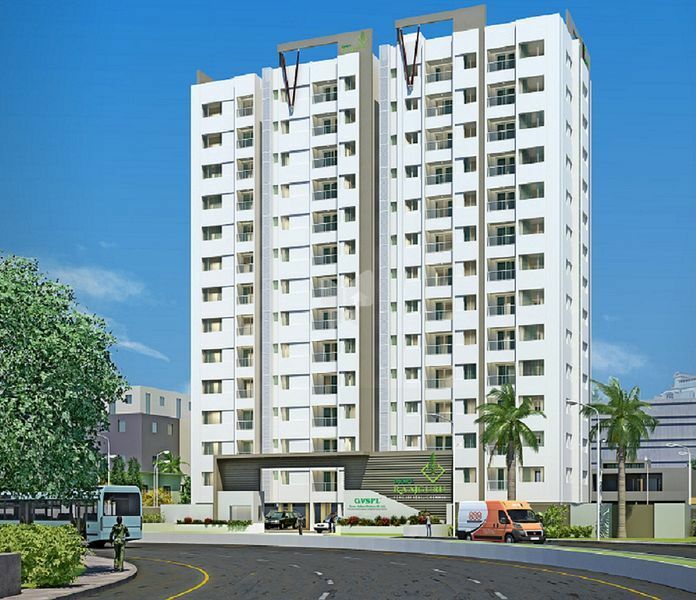 GVSPL Rajguru at Vengaivasal consists of Stilt + 13 floors and offers 65 units of 2BHK and 3BHK apartments built with 915 sq. ft to 1300 sq. ft. Every minute details of the project are given utmost attention to enrich your lifestyle for years to come. Our technical experts conduct careful analysis and only the best products are chosen to be used for various specifications of the project. GVSPL Rajguru complies to various environmental and statutory norms for a hassle-free living (EHS). Sholinganallur IT Corridor - 5 km. RCC Framed structure with B" external walls and 4" internal partition walls. Plastered with cement mortars with 10 Ft OF floor to floor height. Openable UPVC windows with 4 mm plain glass and inner M.S. safety grills.UPVC frame fitted ventilators with top hung shutter with MS safety grills. Walls with putty and emulsion paints. Grills with 2 coats OF enamel paint over one coat of primer. Parryware/Hindware of white colour with accessories or equivalent for sanitary Rttings. WS Retings, CP fittings of laguar or equivalent. UPVC line For rain water, sanitary waste line. SWR line For underground drainage. Hot/Cold WaterCPVC lines. Wash rooms with wall mounted white colour EWC, health faucet and wash basin. Sump with sufficient capacity, two bore wells and adequate capacity to OHT and STP. Fire safety norms are thoroughly Followed. Envisage the magic of nature turning its course to manifest itself around your living space or your organization. Sprawling beauty of the trees and the soothing view of the lawn spread across your building as a green carpet will take you closer to Mother Nature. Every thing you see, touch and feel at GVSPL‘s projects are the epitome of eco-friendliness. With GVSPL you get all this and much more. Witness your dreams turning to reality. We at GVSPL have never ceased to wonder at what Mother Nature has to offer Mankind…. Through her immeasurable and intricate structures of symmetry that have had us captivated in awe…. Nature still shapes and will continue to shape our mindscape in structural and construction excellence.